The Chamber Choir sang with great professionalism and flair this weekend at the Leith Hill Musical Festival. 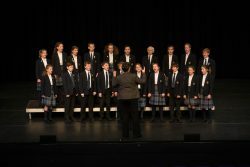 This annual Youth Choirs Competition encourages choirs to perform to each other and to share their love of choral singing. There were five choirs competing in the afternoon session and we were awarded the winning trophy in the 13 years and under category. 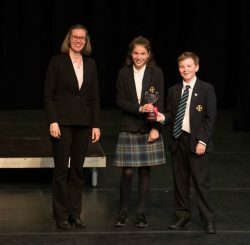 The choir was awarded a high distinction of 89/100 marks for their performance of Gloria, from ‘A Little Jazz Mass’ by Bob Chilcott and ‘Let the river run’ from the film ‘Working Girl’, composed by Carly Simon.